Daniel David Palmer founded chiropractic in 1895, in the USA. It is based upon the understanding that good health is dependent upon a normally functioning nervous system, especially the spine and nerves extending from the spine to all parts of the body. Chiropractors may sometimes refer to a patient’s subluxation, which is a misalignment of the spine that interferes with nerve signals transmitted by the brain. Our Chiropractors at [site_title]? 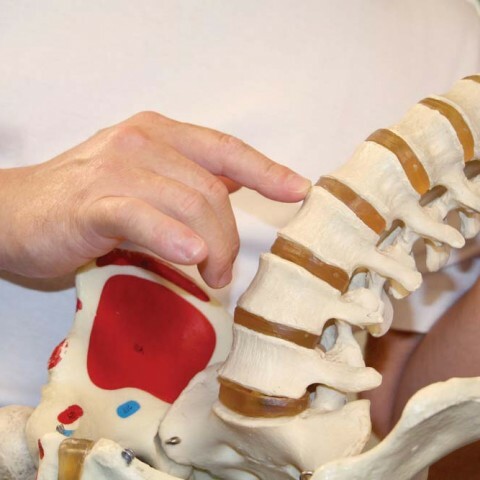 will examine the spine (after taking a case history) to ascertain any injuries, accidents or tension that may be causing irritation to the spinal nerve roots. By reducing or eliminating this irritation, the body will operate more efficiently and more comfortably. They may also refer a patient for x-rays, or Massage if this is considered to be necessary. There is an emphasis upon nutritional and exercise programmes, along with advice on lifestyle modifications, as our [site_location]? Chiropractors believe that the body is a self-regulating organism with an inborn potential to be healthy. Pharmaceutical medications are not prescribed. Patients may be treated by gentle manipulation or adjustment of the spine, which are usually performed on a special Chiropractic table and this may be supplemented by massage therapy and stretching techniques. Length and frequency of treatments will vary depending on the degree of severity of the problem presented. Due to their gentle nature, modern Chiropractic techniques are very safe for the elderly, children, and even infants. At [site_title]? we have a special interest in Chiropractic Paediatric Care having obtained post graduate qualifications. At [site_title]? 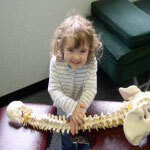 we help little people to be comfortable and to perform at their best by improving their spine. Chiropractors understand that a healthy spine enables a child to grow straight and strong, helps prevent injuries and allows their all important nervous system to do its job properly. It is through helping the nervous system that chiropractic care can help many children live healthier lives. Our chiropractic care of babies and children is gentle, safe and comfortable. The chiropractic techniques used in our practice typically involve gentle finger tip pressures (the kind you could tolerate over a closed eyelid) and specific massage. [site_title]? is also expert in dealing with injuries and disorders with older children and teenagers, including postural problems and sporting injuries.